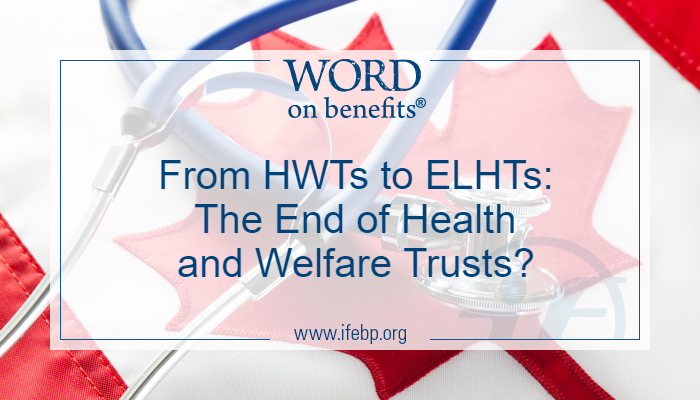 From HWTs to ELHTs: The End of Health and Welfare Trusts? From HWTs to ELHTs: The End of Health and Welfare Trusts? The 2018 Canadian federal budget announced that health and welfare trusts (HWTs)—the tax vehicle under which most benefit trusts currently operate—are being phased out by the end of 2020. Still to come from the government are transitional administrative guidance for winding up existing HWTs as well as transitional rules for converting existing HWTs to employee life and health trusts (ELHTs). Affected stakeholders will have until June 29, 2018 to submit comments to the government regarding the transitional rules. The above points were among the insights of the April 4 International Foundation/Multi-Employer Benefit Plan Council of Canada (MEBCO) webcast “From HWTs to ELHTs: The End of Health and Welfare Trusts?” The webcast featured D. Cameron Hunter, FCIA, FSA, senior consulting actuary and principal at Eckler Ltd. in Toronto, Ontario; Roberto Tomassini, partner at Koskie Minsky LLP in Toronto, Ontario; David M. Veld, CA, CPA, partner at BDO Canada LLP in Burlington, Ontario; and Ellen Whelan, FCIA, FSA, principal at Eckler Ltd. in Toronto, Ontario. Technically, HWTs are a “legal fiction” because they are not defined in the Income Tax Act, Tomassini said. Instead, HWTs have been governed by Canada Revenue Agency (CRA) administrative rules since 1966. On the other hand, ELHTs, created in 2010 and approved by federal Parliament, are codified in the Income Tax Act. These trusts were developed to accommodate the financial crises of GM and Chrysler, and the primary objective was to permit prefunding of retirement health benefits. Trusts established in 2010 or after could choose between HWT or ELHT rules. HWTs and ELHTs are two distinct vehicles with separate histories but, on a high level, Hunter noted, they are essentially the same vehicle as far as the benefits that are provided. So for the past eight years, there have been separate rules for much the same vehicle. Numerous organizations, including MEBCO, have recommended harmonization of HWT and ELHT rules, and the federal budget would seem to aim for that same goal. ELHT rules are generally more favourable than HWT rules and, since they are codified in the Income Tax Act, there is higher confidence and greater certainty in the ELHT rules, Hunter said. Prefunding of benefits is allowed under ELHTs, Whelan noted. Allowing for a surplus is a key difference. Under the current rules for HWTs, if a surplus is not temporary—and there is not an exact definition of how much money constitutes a surplus and how long the surplus could exist before it became permanent rather than temporary—it could result in the loss of HWT status and the employer deduction. As far as taxation of the trusts, ELHTs can deduct the cost of all benefits (not just taxable benefits) and administrative expenses, Veld said. ELHTs also can carry forward and carry back three years of noncapital losses. ELHTs are less likely than HWTs to be subject to income taxes, he said. Below are a few more highlights from the webcast, which can be found at www.ifebp.org/webcasts. No new HWTs can be created as of February 27, 2018. By 2020, HWTs will have to convert to ELHTs. If they don’t convert, HWTs will be subject to normal income tax rules for trusts, Hunter said. HWT rules have provisions for providing nonqualifying benefits; however, ELHT rules do not currently have this option, so this will need to be considered by trustees before an HWT is converted to an ELHT. This is also a good time to review governance and compliance, Hunter said. 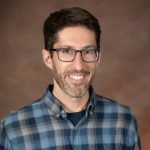 In response to a question from a webcast listener, Tomassini noted that there is not currently a time line for when transitional rules will be available. In the meantime, plans should consider making a submission to the government by June 29.